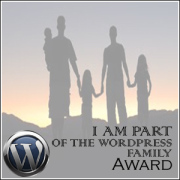 We’d like to congratulate The Casual Philosopher, for earning that first blogging award, and thanks for nominating us for the WordPress Family Award! The rules for this honor are simple. Link back to the nominator, then make 10 nominations of your own. Phil Lanoue – http://phillanoue.com/ – Stunning wildlife photography. Mad Queen Linda – magicbusstop.wordpress.com. Life, full speed ahead! Janaline’s World Travel – http://janalinesworldjourney.com/ Seems like she’s been everywhere. It seems red-heads or “gingers” get a lot of grief. I suppose it’s because they stand out, as does this little cedar tree. 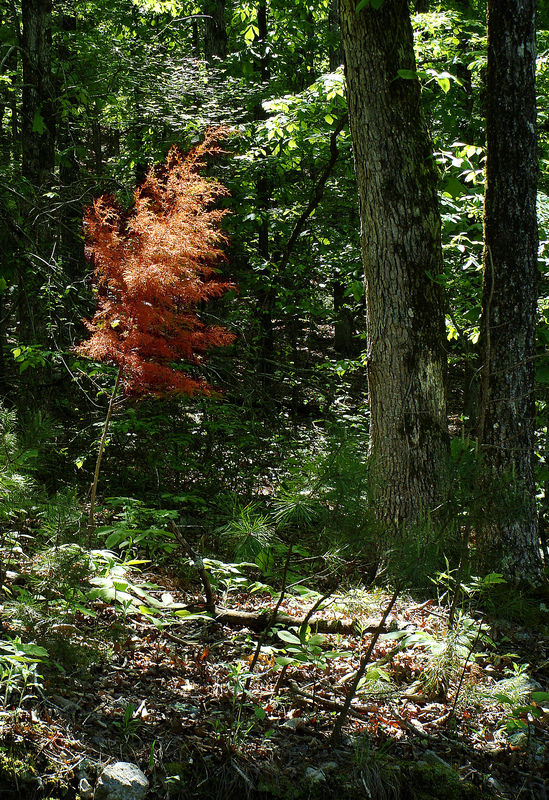 SEEING RED — A red-headed cedar tree stands out against the greening forest. Sadly, its rusty head probably means it is a former cedar tree. Between years of deluge has been a year of hard drought. That’s a lot of stress for any plant to take. Foraging carpenter bee draws pollen from our lavender patch. 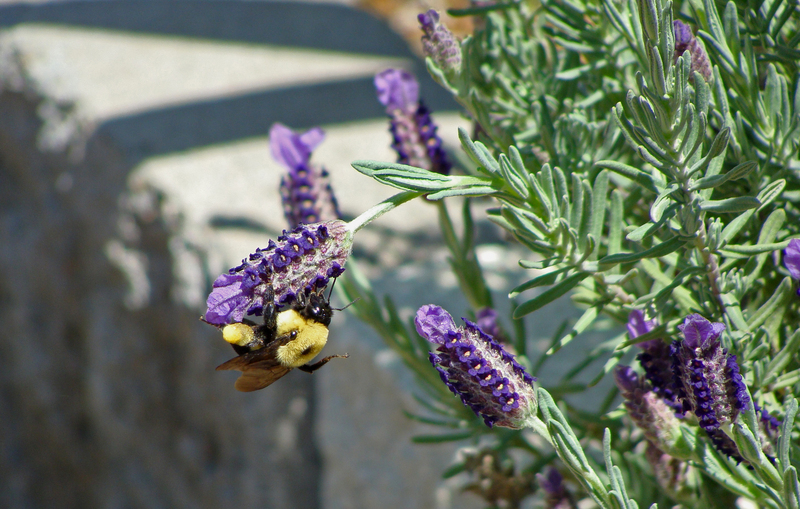 BALANCING ACT – Pollen-laden carpenter bee hangs on as the lavender plant bends under her weight. She almost looks like she’s in yoga’s plow pose, with her legs sticking up over her thorax. Carpenter bees are very curious. When out photographing, often these bees (which are generally solitary, unlike honey bees) will hover in front of you, rising and dropping, as if sizing you up. Flower crab spider stalks a wasp on a daisy. Foiled again. Eight-eyed spider crab pauses after missing the wasp that was intended to be his breakfast. Flower crab spider seeks other prey on the back of the daisy. Whether driving a combine, raising catfish and show horses, or selling honey at the farmers market, in Arkansas, about one in six folks is employed in some facet of agriculture. Horse parking. Contestant waits his turn in the ring during a 4-H horse show. Rice. Arkansas is the nation’s No.1 rice grower. Campus had a little lamb. Lots of them on the U of Arkansas campus farm. The university was among the land grant colleges created by the Morrill Act just over a century and a half ago. Apiculture, or beekeeping, is a fast-growing part of agriculture. Geese love the harvested rice fields of Arkansas during the winter. Springtime in Arkansas. ’nuff said. Flower crab spider waits for prey. Shadows from Greek mythology seemed to emerge in the flickering light in the woods. The eastern Arkansas Ouachita Mountains have been generous this spring. Dandelion getting ready to open. Rue anemone brightens the forest floor. Thanks to Dr. Twig for the ID! Don’t know what these brushy-headed flowers are either. Pink dogwood blooms reach out to embrace spring. Yellow wood sorrel in the forest. The pixels don’t really reflect the depth of the violet on this violet. Green inch worm on red buckeye flowers. White blossoms on a flowering tree. Napoleon, the boss hummingbird is back, having made a successful trans-Gulf flight from his winter quarters in Mexico or south Florida. He went right to where the feeder had been hanging the last few summers. Took a few minutes this morning to make some nectar and give the feeder an overdue scrub. 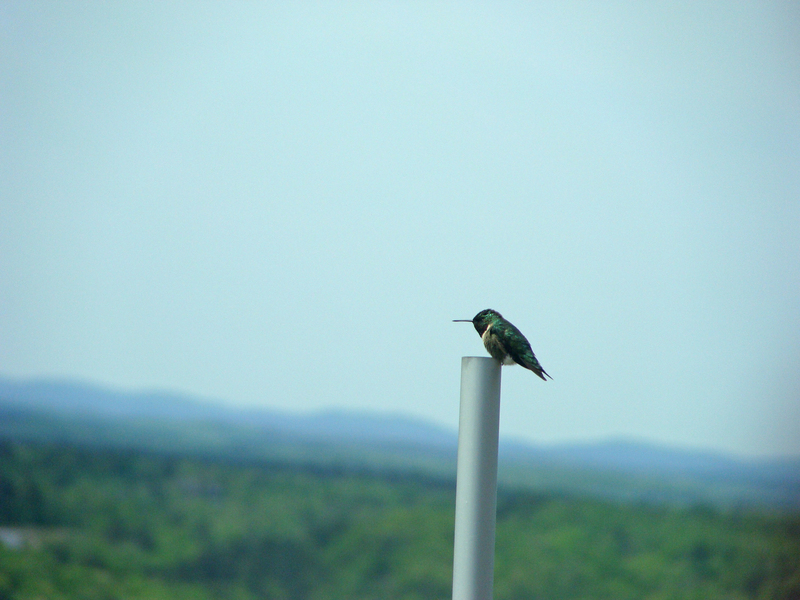 Not long afterward, a second hummingbird appeared.